Some of you may wonder why we drag Santa around the streets of Long Eaton and the surrounding area and have him stand all day in the town center along with his dedicated helpers; well I can tell you its not because he has nothing else to do; especially at this time of year! No boys and girls it’s to help raise money for our Christmas Hampers which Long Eaton Round Table buy and put together for the elderly and for families that need extra support during the festive period! This year (2013) we have also included a voucher for the local butchers in Long Eaton so that people can get their Christmas Turkey on us to. With this in mind we would like to thank Paul Walker Butchers Long Eaton Ltd for the discounted vouchers and supporting our efforts! With the generous support of the community and hard work and volunteered time of the Tablers these 40 hampers which contain an assortment of food and drink go to people who really do need it. 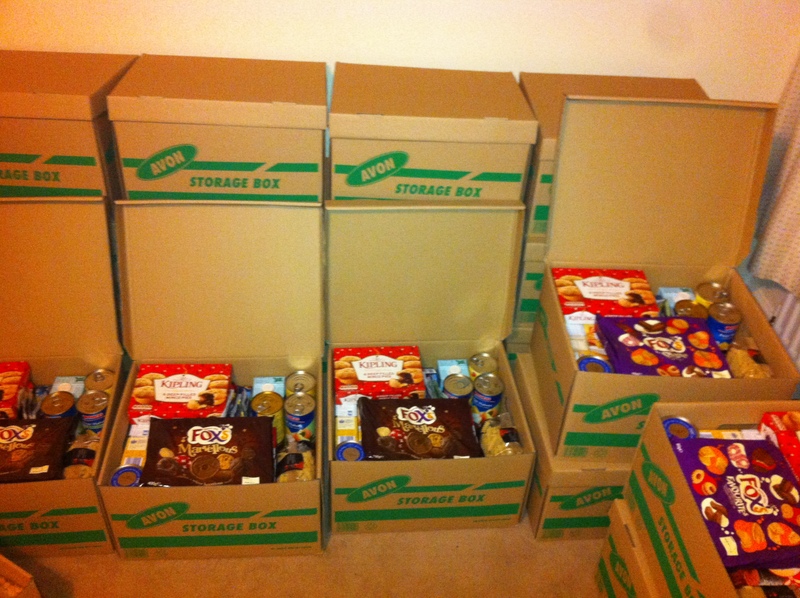 Hampers have been given to people who have very little; sometimes just a few cans of food in their cupboards to last them over the festive period. The gratitude that we receive tells us just how vital our efforts are and always spur us on for the next year. However we really couldn’t do it without the generosity of others and wish to thank all those who support us.